You only get one chance to have the best in Children’s entertainment and Magic OZ is the Children’s Favourite Children’s Entertainers, what ever their age it will be the ultimate Party for them to remember Guaranteed. Simply Magic OZ Children’s Entertainer Entertains all who attend not only the Children but the adults too. Magic OZ has fun and so do all the children, his children’s magic shows are astonishing and very funny both for children and adults. As a Children’s Entertainers, Mums know they have to have a quality Children’s Entertainer who gives the children and adults a fun pact Show, with Magic, music and comedy dance which is full of laughter and fun for all who attend. Plus you can leave all the work to Magic OZ so you have a stress free party. 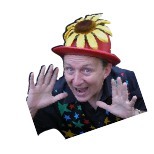 Children’s Entertainer Magic OZ is one of the most Sought after Children’s entertainers today. For the most Fantastic and the best Children’s Party entertainment for your Children’s Birthday party. Magic OZ is the Party Magicians recommended Children’s Magician who offers the Best Parties in and around Southern England UK Guaranteed. As a Children’s Entertainers, Mums know they need a fully qualified Children’s Party Entertainer who gives the children and adults a fun pact Show, with Magic, music and comedy dance which is full of laughter and fun for all who attend. Plus you can leave all the work to Magic OZ so you have a stress free party. You only get one chance to hire the best and recommended Children’s Magicians London and recommended Children’s Magicians Surrey so give Magic OZ a call TODAY.